I originally created this plugin as a challenge to myself during the F2P Beta and I never really intended it to be released after launch. However A Casual Stroll to Mordor kindly reviewed the plugin soon after and I've found many requests to update it since. This version has been updated to work with the most recent patch to the game and should hopefully resolve any errors players were finding. WardenTrainerLite is a training tool for Wardens to help learn specific gambits, you can do this by selecting the gambit you want to practice from the menu and actioning the quicklsot sequence. Great if you've taken some time out and need a refresher or if you've got some class deeds to work on. If you're looking for a plugin that will do something more then this is probably not it. It will not make gambit decisions for you. Seriously, I just found this addon. I've tried a few of the others and absolutely love them all, but I realized that here at level 23 getting ready to try the instance finder that I have no clue what I'm doing except for which gambits to use, and no clue how to build them lol. Coolest idea ever. Thank you so much for updating this. Hi all, I decided to update this plugin to the current release "U7". I have also fixed the problem with the image of "Safe Guard" not being the right image. 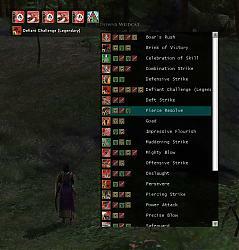 All updated information is gathered from LOTRO WIKI. To install just unzip. and overwrite the any files. I have added an additional file to arrange the order by first gambit and then alphabetical. If you want to list it like that just swap the names of WardenGambits2.lua to WardenGambits.lua and vice versa . To Author: Yes you can use/combine this update. Re: Re: Any chance of a further update on this? At the moment I'm knee-deep in another new plugin, something I think a lot of players will really find useful (so I hope). I may return to this one day, perhaps when I next dust-off my Warden and start playing her again, but right now I have no idea when that will be. Sorry. 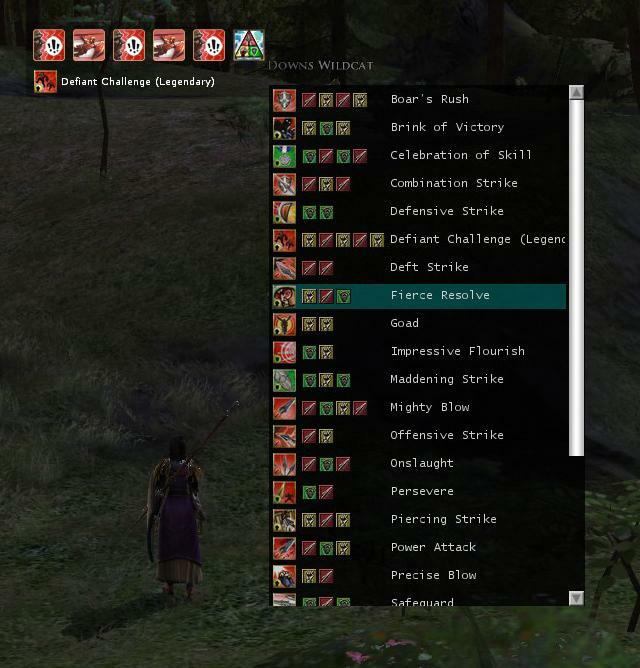 Hi I know you said your into other projects, but I was just wondering if it would be possible for you to add the option leave the list on screen even when not in combat instead of making it a toggle on right click. Re: Any chance of a further update on this? Fantastic plugin. Kudos to you!!! This makes my gaming so much easier but it would be even easier if I could dock the trainer box like palantir instead of it resetting position every time I enter the game. Any chance of an update to achieve this? Any chance of a further update on this? Incredibly huge thanks from me! I was searching the Internet incessantly when this addon stopped working.